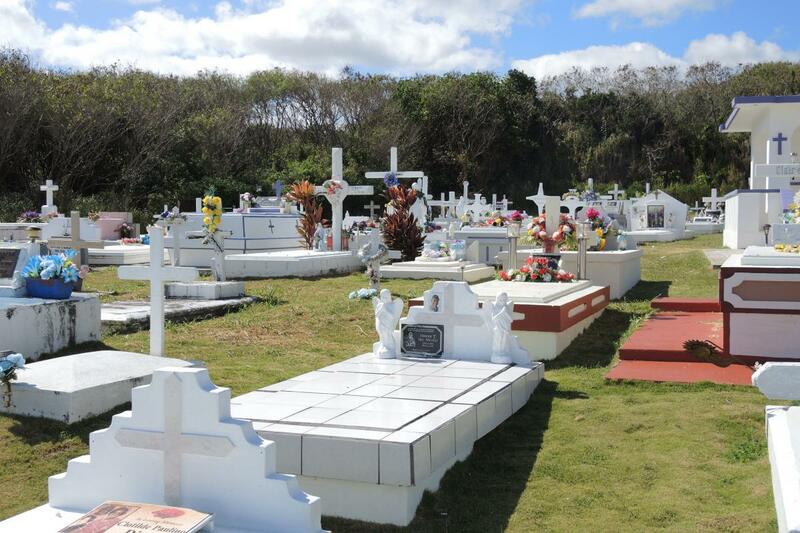 “To have Saints that you honor, and spirits of people who've died like St. Anthony, and St. Joseph, and Santa Maria, that was very much in the Chamorro psyche in the first place,” another reported. Interviewees talked about the spirit of the saints, including their dead loved ones, as being very much with us. Some interviewees even recounted stories of ancestral appearances that had occurred at key moments of their lives. They described these not as haunting events, but as moments of presence, when they received a message from the spirit of a deceased relative who needed or to share it, or simply wanted to comfort them. 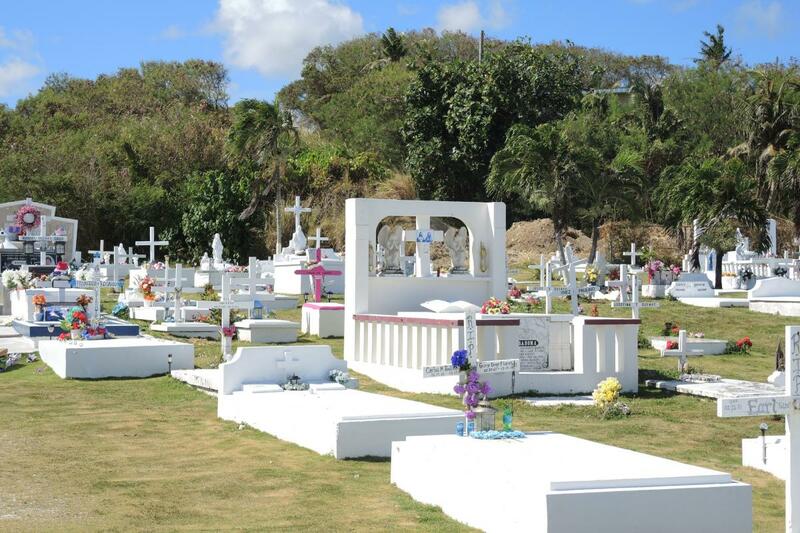 On Guam, All Souls Day is still treated as a “big feast day,” interviewees reported. “Everyone goes in and decorates the tombstones, cleans them up, and then celebrates Mass.” If tombs have been left unattended, as has happened in places from time to time, that is considered a big problem. Embalming and burial is the traditional form of handling the remains of the dead, but in the last decade increasing numbers of the dead have been cremated instead. 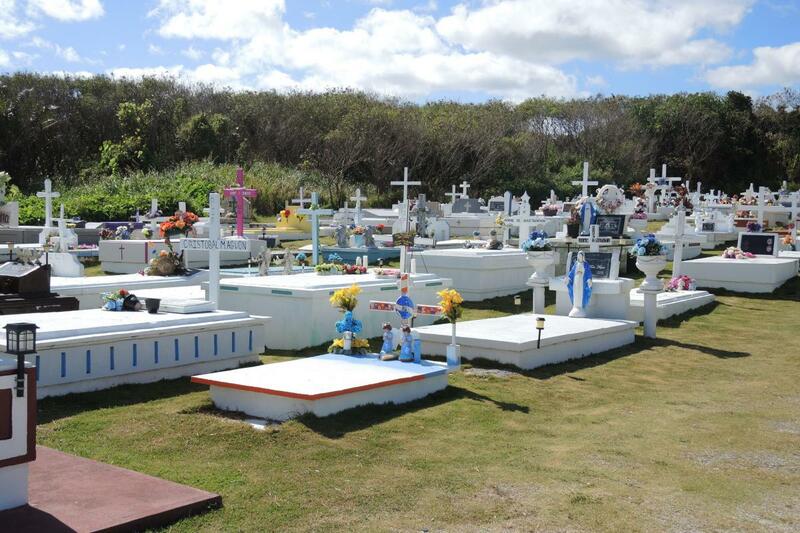 Interviewees talked about a growing trend to “personalize” funerals to reflect the personality and hobbies of deceased, a trend that parallels contemporary burial practices in the mainland U.S.A. One interviewee, a man who assisted professionally at funerals, saw this as a way that Chamorro culture was being undermined. Funerals typically begin with a viewing of the body in an open casket in the morning. The viewing begins and ends with a Rosary, and includes a brunch in the middle. The funeral Mass typically follows at noon or 1 p.m. The public, ritualized remembrance of the dead does not end at the graveside. For Protestants, apparently, the remembrance goes on for three nights, but for Catholics, there needs to be time for a whole novena. Public prayer and remembrance thus lasts nine days and nights after the funeral, with one, or perhaps two, Rosaries a day: an optional one at noon for the family only, and one in the evening for all comers, either at home or at church. On the third day of the Rosary, all the grandchildren typically wear red, which is an old custom of unclear origin or meaning. Some interviewees even remembered being told stories years ago that the dead might come back or send a sign three days later to send a message about something important that’s unfinished, but no one had experienced that. The story of the insurance policy notwithstanding, friends and family are expected to contribute to each other’s funerals — $50 or $100 — and people pay attention to who has been to whose and who contributes, or doesn’t. 1. The articles on Guam are the product of 14 extended interviews and many more informal conversations during two research visits in March and December 2017.